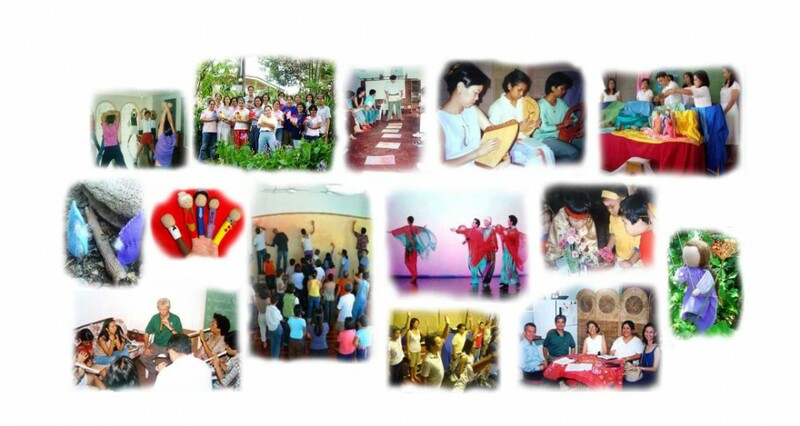 Rudolf Steiner Education in the Philippines | Advancing Waldorf / Steiner Education for healthy human and social development. Advancing Waldorf / Steiner Education for healthy human and social development. Founded in 1994, the primary thrust of Rudolf Steiner Education in the Philippines (RStEP), is to advocate and propagate Steiner Education (more known as "Waldorf Education") in the Philippines through organizing teacher training seminars and courses, workshops and public orientations. Steiner Education (based on Rudolf Steiner's 'Anthroposophy' or "the knowledge of the nature of the Human Being") not only restores education but also transforms society. It renews education through an age-appropriate pedagogy that educates the hands (purposeful Willing/Doing), and the heart (engaged, balanced Feeling), as well as the head (creative Thinking), leading to the development of the whole human being. The transformation of society is advanced, in part, through the creation of new social forms and new ways of working together in addition to creating a social space for educational freedom and the free life of the spirit. RStEP on Facebook – Connect with us!